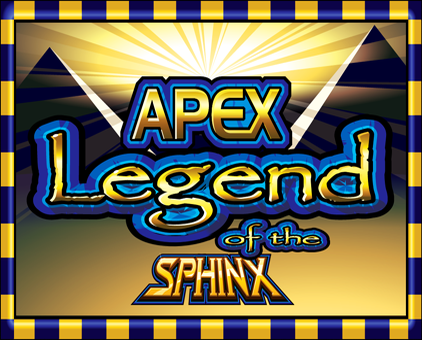 Apex Legend of the Sphinx – APEX pro gaming a.s.
APEX Legend of the Sphinx is a 10 or 25 lines, 5 reels / 3 rows video game. The Top Award is 10000 credits multiplied by the number of credits bet per line. 1) All symbols pay left-to-right, except scattered ‘PYRAMID’ symbol. 2) Wild-symbol ‘SPHINX’ substitutes for all symbols, except scattered ‘PYRAMID’ symbol. 3) Wins with Wild-symbol ‘SPHINX’ substituting are doubled. 4) Payline wins are multiplied by credits bet per line. 5) Scatter wins are multiplied by total credits bet. 6) Wins on selected lines are added. 7) Scatter wins are added to payline wins. 8) Highest win only is paid per line. a. How many feature games have I won? i. The player can win up to 20 Feature Games with a multiplier of x3. b. What is my feature prize multiplier? i. 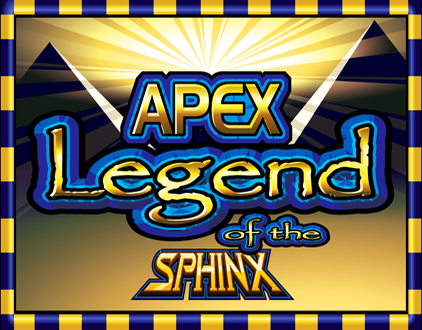 The player is awarded 14 Feature Games with a multiplier up to x5. 3) During Feature Games all wins are multiplied by the awarded multiplier. 4) Feature Games can be re-triggered. 6) The re-triggered Feature Games are added to the remaining Feature Games. 7) Feature Games are played at trigger bet and lines.